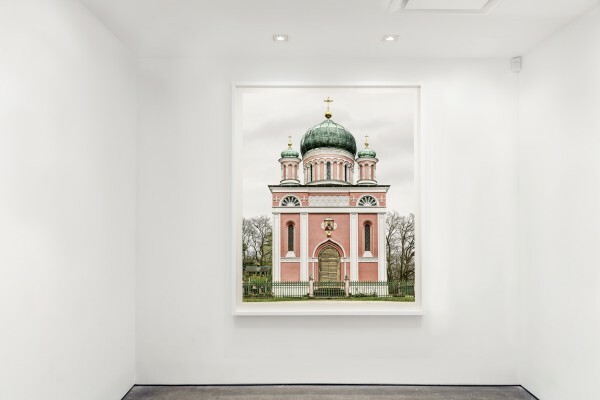 Yossi Milo Gallery is pleased to announce an exhibition of color photographic works by Markus Brunetti. FACADES – Grand Tour will open on Thursday, February 1, with a reception for the artist from 6:00–8:00pm, and will close on Saturday, April 21. 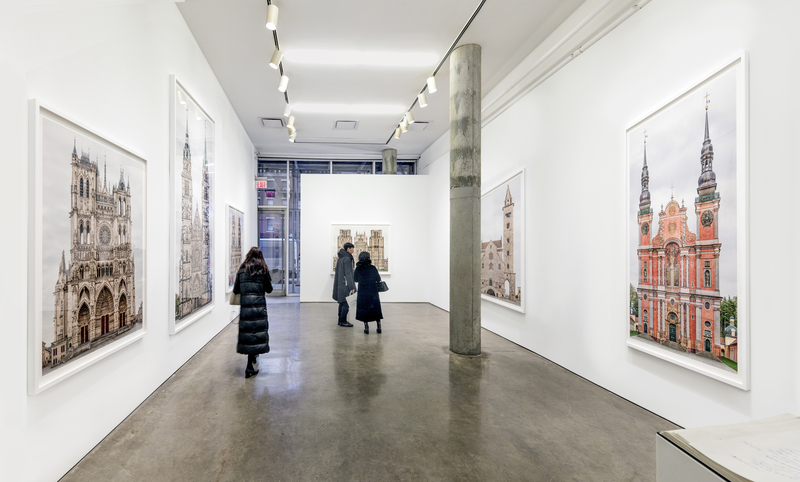 Brunetti’s second solo exhibition at the gallery will feature large-scale prints recently completed for his singular, ongoing series: FACADES. Markus Brunetti’s FACADES is a project dedicated to recording and conveying the artistic complexity of European architecture by capturing the façades of historic cathedrals, churches and cloisters in minute detail. 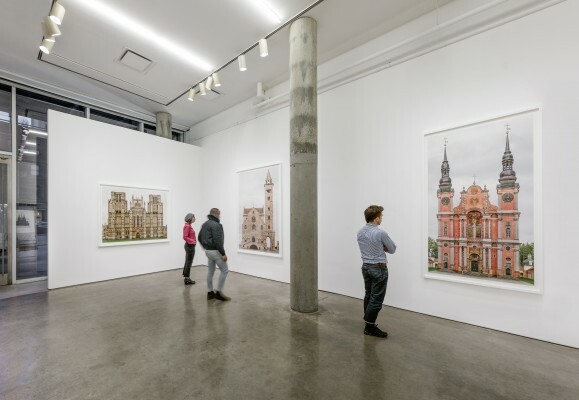 In the tradition of Bernd and Hilla Becher’s serial documentation of German industrialization, the front surface of each structure is photographed in a precise and regulated style allowing for typologies and comparisons. 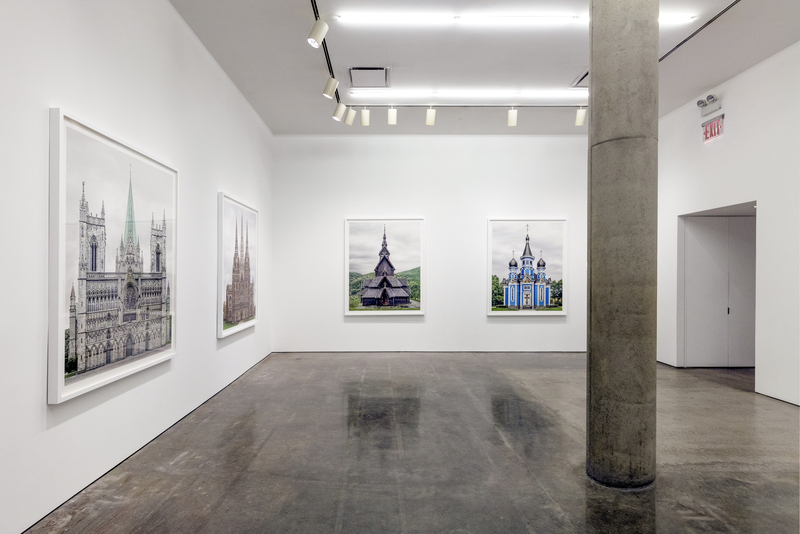 The subjects are conceived as idealized designs, or as what might be called photographic drawings on paper, similar to the architects’ or builders’ original plans and the engravings of Old Masters. Brunetti’s FACADES are the result of continuous travel and work with his partner, Betty Schoener, in their self-contained computer lab on wheels. 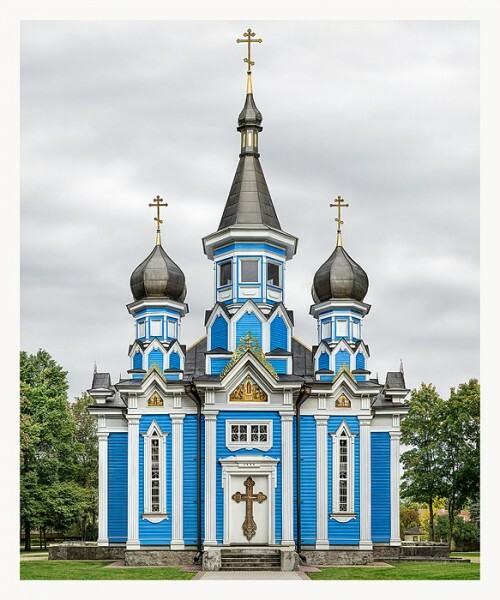 Initially focused on sites in Western Europe, their Grand Tour has now broadened to include varied religious histories and denominations in Scandinavia and Eastern Europe. New additions to the series include composites of the Baroque Marian Sanctuary in Święta Lipka, Northern Poland; wooden Stave churches of Norway; the towering St. Lorenz gothic church in Nuremberg, Germany; as well as the ornate façades of churches, basilicas and synagogues in Lithuania, Italy, Portugal, England and France. To create a single work, Brunetti exhaustively photographs each façade from bottom to top, taking thousands of high-resolution frames over the course of a few weeks or, if necessary, a few years. Photographing in diffused, early morning light, and always from ground level, Brunetti works frame- by-frame, digitally capturing the minutiae of every square-meter of the façade. Ornamentations that would otherwise be overlooked or too distant to see, such as the half-length sculptures encircling the rose window of Siena’s Cathedral or the flying buttresses on Vendome, France’s Holy Trinity Church, become vividly clear. 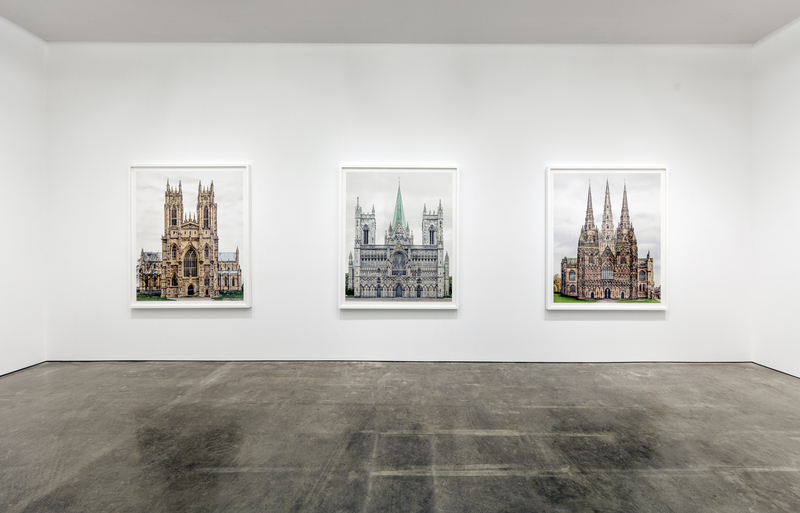 The individual views are then assembled into a hyper-realistic interpretation of the entire façade, stripped of all modern-day elements. As a result, FACADES becomes a visual encyclopedia; an in-depth study of the relationships between form, religious function and cultural history. 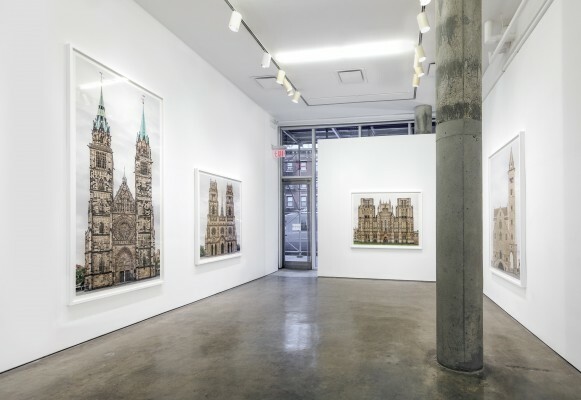 Markus Brunetti’s FACADES are in the permanent collections of the Chazen Museum of Art, University of Wisconsin, Madison, WI; David Winton Bell Gallery, Brown University, Providence, RI; Hood Museum of Art, Dartmouth College, Hanover, NH; Musée des Beaux-Arts, Le Locle, Switzerland; and the National Gallery of Canada, Ottawa, Canada. 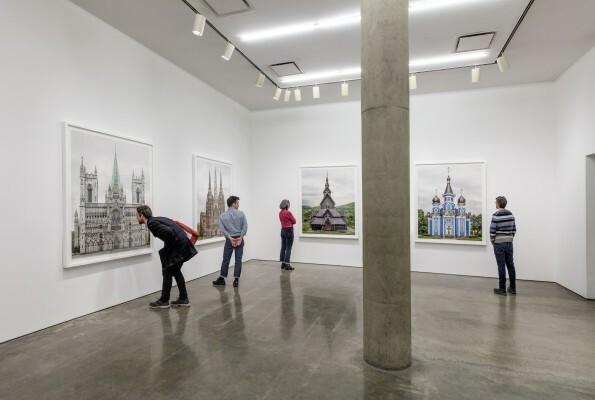 Solo exhibitions have been presented at the Chazen Museum of Art, Madison, WI; Museum of Fine Arts, Le Locle, Switzerland and the Museum of Applied Arts, Cologne, Germany. 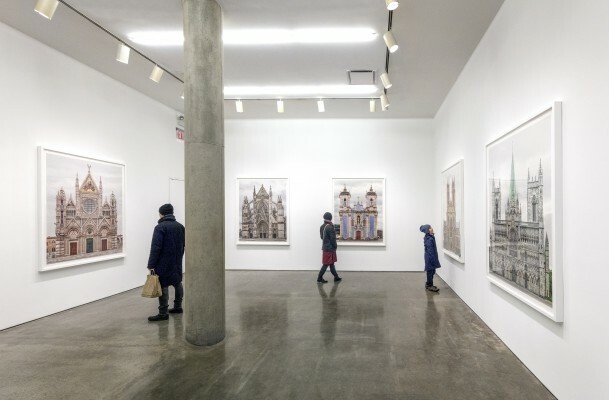 Prominent group shows include the PROPORTIO exhibition at Palazzo Fortuny, coinciding with the 57th Venice Art Biennale and the 2015 Les Rencontres d’Arles Photographie Festival in Arles, France. 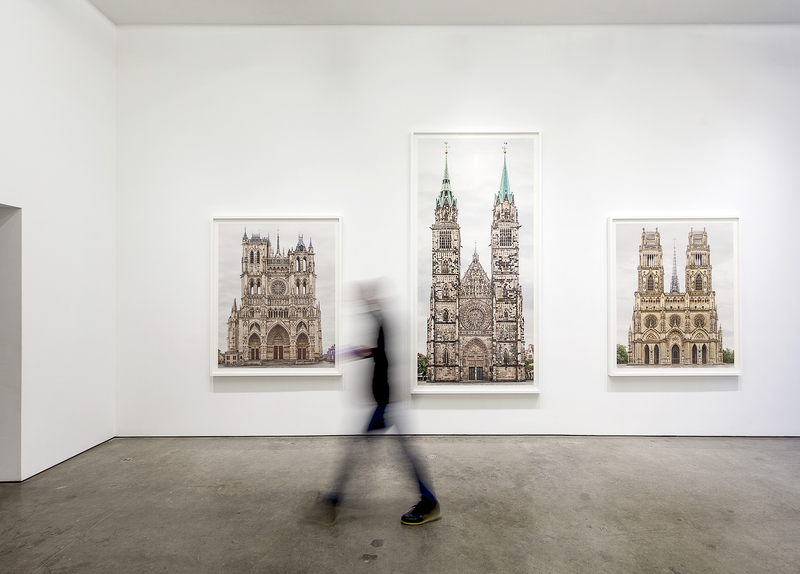 The artist’s self-published catalogue, Markus Brunetti – FACADES, was released in 2016. 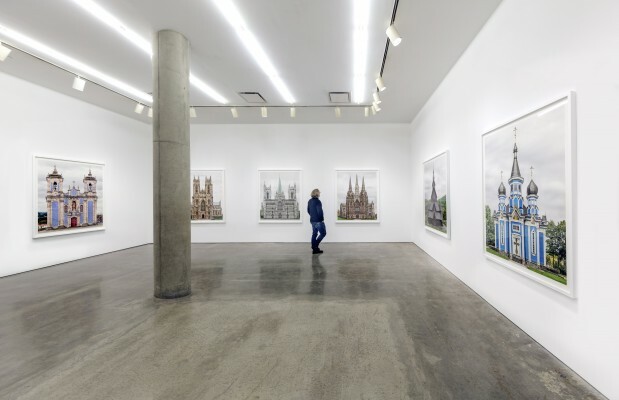 Brunetti was born in Germany in 1965, and currently lives and works across Europe.